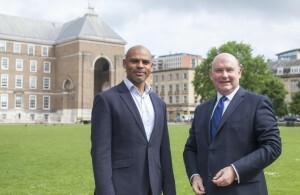 Bristol’s major investment opportunities, including Cumberland Basin and the Temple Quay Enterprise Zone along with its smart energy and infrastructure schemes, will next week be promoted to international investors at a global gathering of business leaders and politicians. 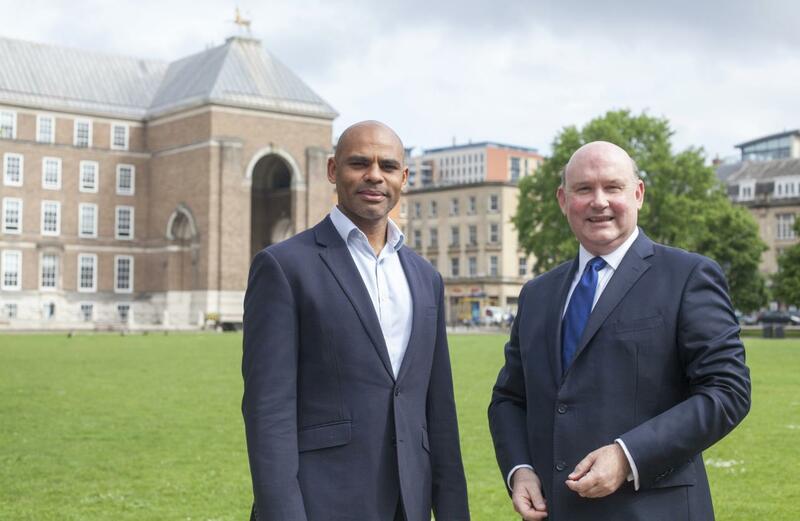 Mayor of Bristol Marvin Rees and the West of England Metro Mayor Tim Bowles, pictured, will be speaking on the city’s opportunities and its plans to develop a sustainable and inclusive economy at the 6th World Cities Summit in Singapore. The two were involved to take part thanks to the city’s growing international reputation as a testbed for innovation in tech, energy and city planning. The four-day event, entitled Liveable & Sustainable Cities: Embracing the Future through Innovation and Collaboration will be attended by more than 150 mayors from 125 nations and regions. The mayors will explore options for collaboration with these leading cities at the event as well as promoting the Global Parliament of Mayors Summit, which Bristol is hosting in October. This event, attended by city leaders from across the world, will focus on tackling key global challenges at a local level, including migration, urban security, public health and harnessing high tech and innovation. Bristol has reached international acclaim as the UK’s No1 digital productivity powerhouse with a £7.9bn digital tech turnover and more than 25,000 jobs in the sector. It was also crowned the world’s Smart City 2018 at the GSMA Global Mobile Awards, providing international recognition as a leading smart city of the future. Bristol has also been asked to contribute to the Mayors Forum and wider Summit on how city governance can both prepare cities for disruptive innovation while ensuring maximum benefit for citizens and business. Mayor Rees will highlight the importance of a partnership approach across networks and sectors, such as through Bristol’s City Office and the One City Plan, which draws together work in business, academia, local government and the community. He said: “I am proud of Bristol’s growing global recognition for innovation, the digital economy and our record in developing a thriving environmentally sustainable economy, so we have a lot to share with international city leaders. “I look forward to sharing ideas on how we ensure that success is felt by everyone in our city, and cities around the world. And this is just the start. We are honoured to be hosting the Global Parliament of Mayors in Bristol this October – bringing leaders from across the world together to tackle the most challenging issues of our time. Mayor Bowles added: “This is a brilliant opportunity to showcase our region on the world stage. Singapore is a globally important market with technological capabilities that reflect the strengths of the West of England. It’s a country that is investing heavily in smart technologies and it offers a rich market for our universities and businesses, which are at the forefront of research and innovation in this sector. In addition to the World Cities Summit, the UK Department of International Trade has set up a global trade and investment event for up to 50 investors where Bristol will promote the new £1bn energy infrastructure programme, City Leap which outlines opportunities to invest in large-scale heat networks, smart energy, renewable energy, energy efficiency and other sustainable technologies to keep Bristol on track to be a carbon neutral city by the year 2050. A number of other meetings will take place in Singapore and Kuala Lumpur with investors and business networks to promote Bristol’s current and sizeable opportunities. The Bristol and West of England delegation will be supported by a trade advisor and South East Asia market specialist from Business West, the Chamber of Commerce for Bristol and the wider area working to drive business growth and international trade & investment. James Durie, chief executive, Bristol Chamber of Commerce at Business West added: “We are delighted to support and be part of the delegation which is focused on driving both trade and investment with these markets and will help deliver on the international strategy for the Bristol & West of England city region. “Bristol and the West of England has a thriving economy and a growing international reputation for innovation and sustainability. We are already a test bed for major technological development from Bristol is Open and 5G to energy innovation and robotics.